MB BSR SUITE is the complete solution for all measurement tasks in the field of NVH, Squeak & Rattle and Sound Quality testing. 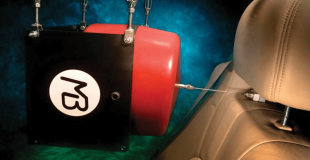 Comprehensive analysis and assessment capabilities also enable the use of the BSR Suite for analysis and evaluation of functional and operating noise, vibrational effects on humans as well as the acoustic and haptic feedback of controls and actuators. Predefined test configurations for typical tasks such as multi-channel road load data acquisition, drive-file generation and objective Squeak & Rattle and Sound Quality testing allow for fast and simple operation. 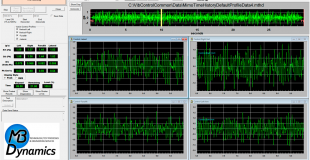 Signal statistics and user defined thresholds or reference-curves can be used for objective evaluation of different acoustic or haptic quality criteria. In addition the development and integration of application- or customer-specific analyses and evaluation methods is also possible at any time. Contact MB to find a solution for your measurement task! 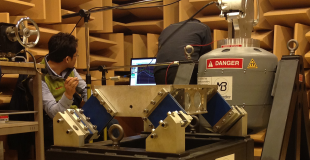 Objective Squeak & Rattle Testing according to different test specifications such as GMW14011, FORD CETP-L413, PSA with switchable Adaptive Background Noise Compensation for repeatable and comparable Squeak & Rattle tests. Predefined test setups for typical tasks such as drive-file generation, objective Squeak & Rattle tests, Sound Quality tests etc.